Branch out from your basic set of colors with this sky blue crayon teen dress. 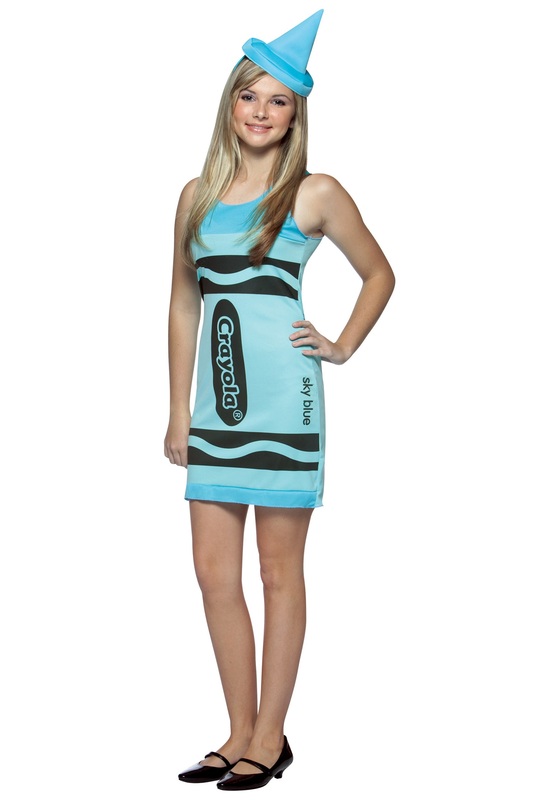 The polyester costume is in Crayola's signature sky blue, with the front screenprinted in black to look just like a crayon wrapper. 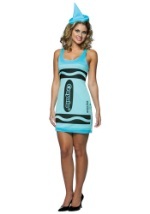 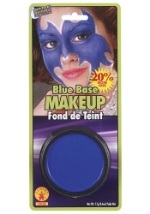 The neck, shoulder straps and bottom hemline of this tank dress are made of a slightly darker blue material. 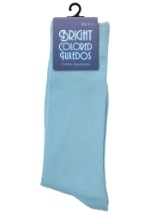 Cords are attached at the sides of the waist to tie up in back. 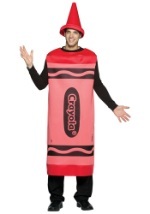 A sky blue hat that looks like a crayon tip is attached to a clear headband. 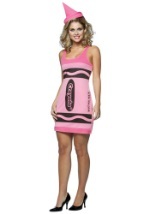 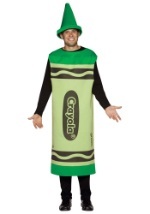 Check out our many other crayon costumes to make a Crayola group this Halloween.